Along the Mississippi River circa 1890. 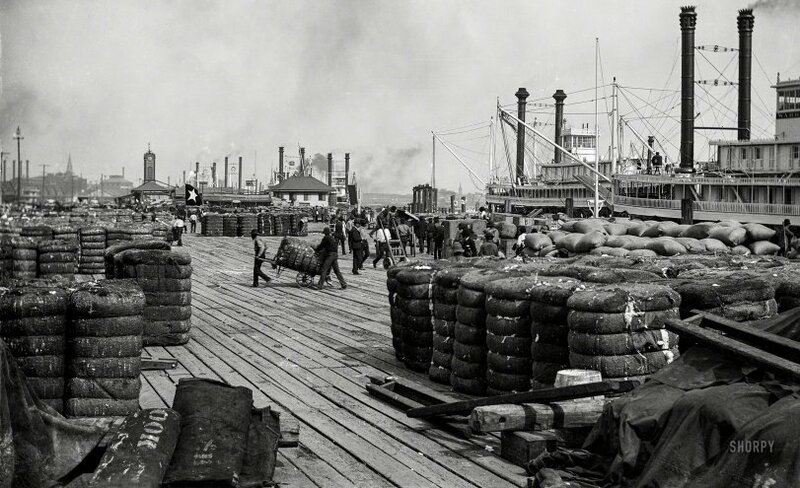 "Cotton on the levee at New Orleans." 5x7 inch glass negative by William Henry Jackson. View full size.